There is an old political law that states: “When you are in a hole, stop digging”. It is a maxim that should have an ecclesiastical application, too. The case of Bishop George Bell has damaged the reputation of the Church of England and of Justin Welby, the Archbishop of Canterbury. 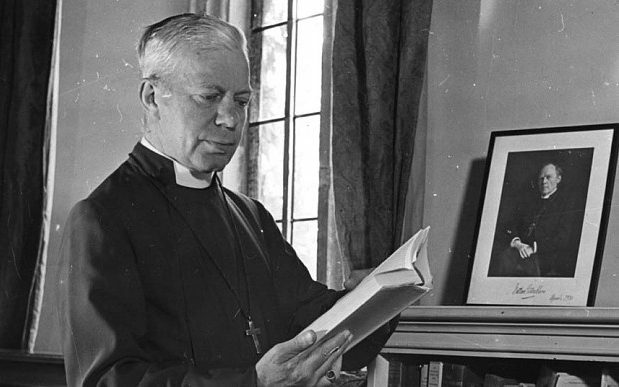 Although Bishop Bell died in 1958, allegations of sexual abuse against the prelate were accepted by the Church with no evidence. When an independent report concluded he had been unjustly treated, the Church declined to exonerate him while accepting the process it had undertaken was flawed. But instead of leaving matters there (which Bishop Bell’s supporters were reluctant to do in any case) the Church has become even more resolute in its pursuit. It has forwarded to the police a separate allegation of sexual abuse some 70 years old, a decision that the independent reviewer, Lord Carlile QC, called “unwise, unnecessary and foolish”. Archbishop Welby has said he will not clear Bishop Bell’s name because he cannot be sure he is innocent. But neither can he be sure he is guilty, and due process in this country means that he is innocent until proven otherwise. Clearly, since he has been dead 60 years and no evidence could be adduced to corroborate an offence that possibly happened in the late 1940s, there is simply no point in pursuing this matter. The police have been asked by the Church to investigate but to do so would be a misuse of their time, just as it was to investigate dead politicians like Edward Heath. It is not the function of the criminal justice system to investigate, to no purpose, those who cannot be brought to book, nor the Church’s place to request that it should. This entry was posted in Bishop George Bell and tagged Archbishop of Canterbury Justin Welby, Daily Telegraph, George Bell Bishop of Chichester, Lord Carlile on February 2, 2018 by richardwsymonds37.